If you like to taste wine then this will certainly catch your attention. 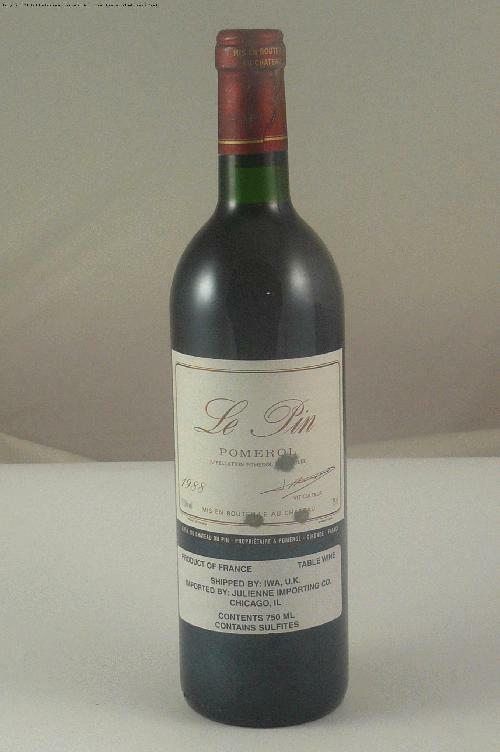 Chteau Le Pin Pomerol 1999 will cost you around $908. This is one of the finest quality wines that is a quality of garage wine. Chteau Le Pin is a family venture of the Thienpont family. It is a small vineyard located amidst the Pomerol plateau. Although there is no official classification of Pomerol but it has become the cult collectors wine, defying all the conventional classification. The quality and price has established it to the level of best quality wines of Bordeaux. In clay soil, the vineyards are not more than 5 acres each with 8% Cabernet Franc and 92% Merlot. It is actually one of the most well known wines to come out of Bordeaux. Its richness comes from the silky levels of, black cherry, mocha and currant flavors. In a year, this vineyard produces 6000 bottles of wine.